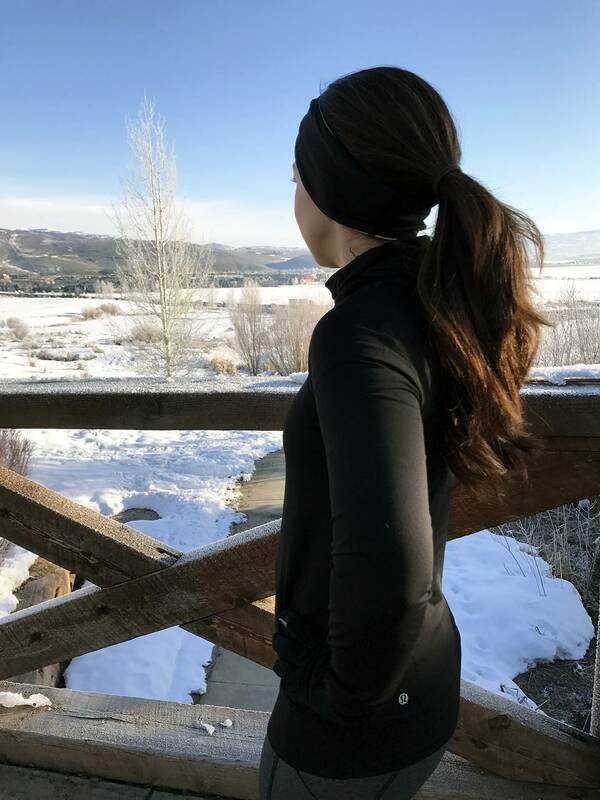 One of my favorite things about Park City is that our trips there revolve around being outside in the fresh mountain air and being active. Even on the days where we weren’t skiing, we really wanted to be outside and just out and about! We always head out that way in the winter but are really hoping to plan a summer trip so that we can hike, bike ride and just see the beautiful mountain views in the summer sun. I’ve never considered myself an outdoorsy person, and I still really don’t, but as I’ve gotten a little bit more into fitness (you’ll see some fun updates starting in March! ), I’ve found that I like being outside more and more. During the summer, I made sure to take Dylan on walks every day and I even did my (few weeks) BBG workouts outside on our patio. I knew when we were in Utah that I at least wanted to be able to get in a few walks outside in the neighborhood where we rented the house (which is a nice hilly workout! ), so naturally headed to lululemon at the Somerset Collection to pick up a few new winter pieces to take with me. I was really looking for pieces that may even do double duty as base layer and I found some awesome things that ended up working really well, so I’m excited to share them with you today! This hoodie actually had a built in neck warmer and thumb holes with little covers for your hands too – along with a hole in the hood for your ponytail! I wore it as both base layer for skiing and layered with one of my favorite lululemon tees. It is made with the Luxtreme fabric and I’m a huge fan of that, it’s soft, stretchy and sweat-wicking. I liked it so much that I’ll definitely look for pieces in that fabric for future purchases. I said a while back that the High Times Pants were my favorite but now they’re in seriously close competition with the Speed Tight V. The Speed Tight doesn’t have as high of a rise but I definitely felt hugged and supported – and they really stay in place. I was also a little surprised with my sizing on this one. I got some really helpful advice from the lululemon Somerset team (they’re SO great to work with when you’re shopping so go in and ask questions!) and actually ended up sizing down to a 4. I was told that the pants would relax after a bit of time, so that I should look at the amount of extra fabric in places like behind my knee to see how much room I would have. At first, getting the pants on was a little tight and they did relax a bit, but that comfortable, fitted and supported feeling was what I ended up with and I really love this style. I’ve only been to Park City once when I drove through it during the summer! I definitely want to go back during the winter now! It looks so pretty! You look amazing! And I love EVERYTHING Lululemon! Lululemon definitely has the best quality workout gear! I don’t mind paying a little extra knowing it will last. Lululemon is amazing! Their pants are my fav! 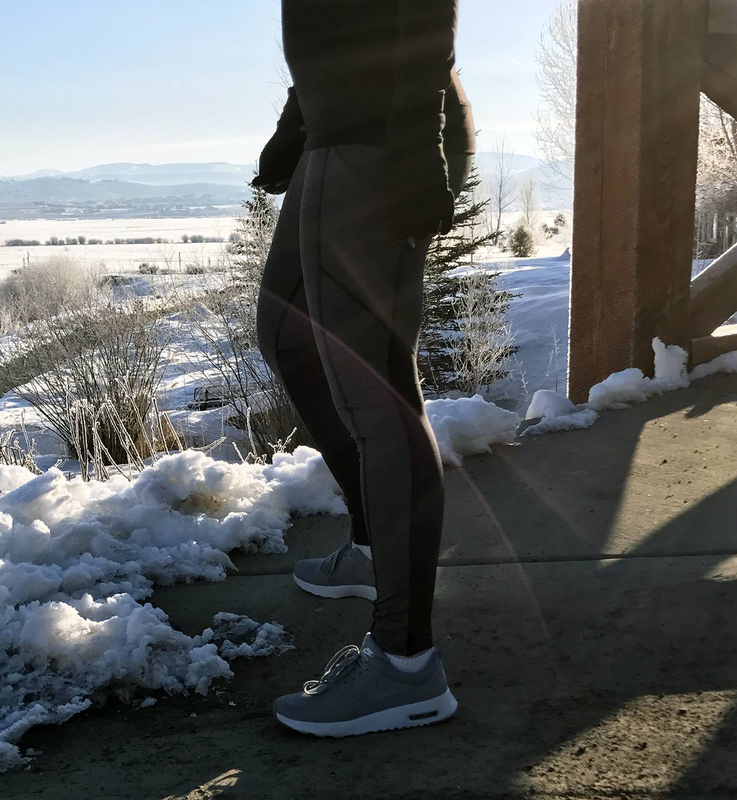 lululemon is my go to for active wear! so comfortable and great quality! I’ve always wanted to go there! Maybe next year! I love your chic workout wear! This is seriously so pretty!! I love those sneaks! I’ve been hearing about Lululemon’s products for ages and still haven’t gotten the chance to try them out for myself. I gotta fix that for sure! love the workout look! I’ve been eyeing these Nikes, so cute!